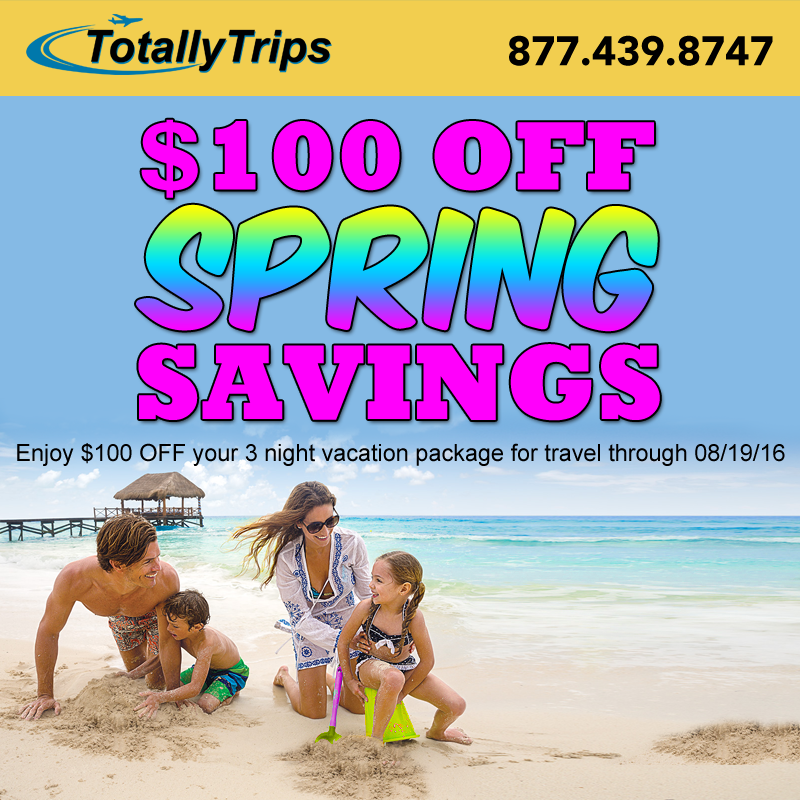 $100 OFF Spring Savings are HERE! 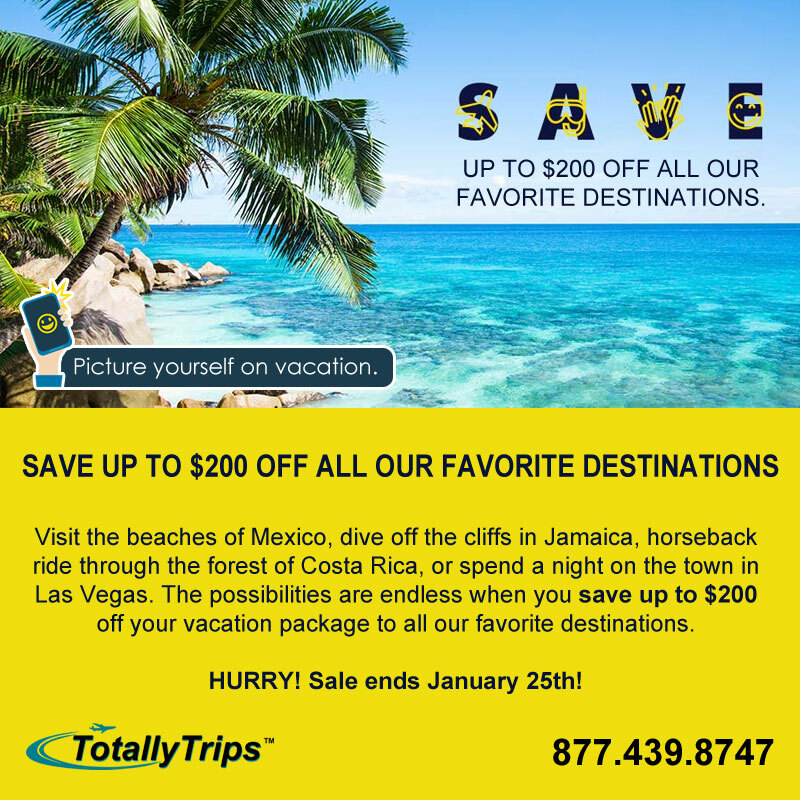 Save $100 OFF your vacation package – book by 02/19! Enjoy $100 OFF your 3 night ‪#‎vacation‬ package for travel through 08/19/16. 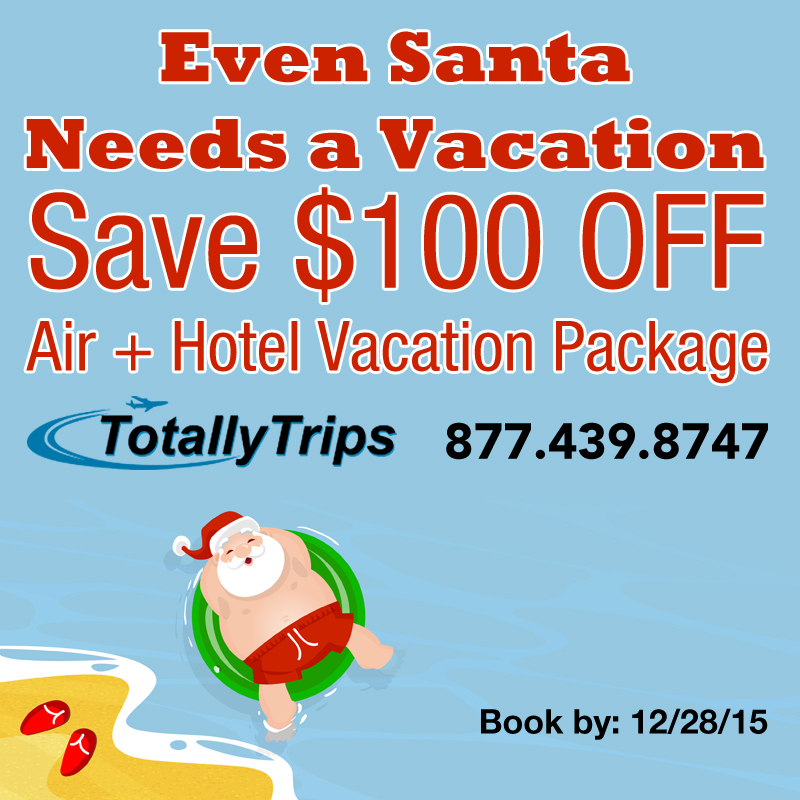 Even Santa Needs a Vacation – Save $100 OFF Your Vacation Package! Book by 12/28. 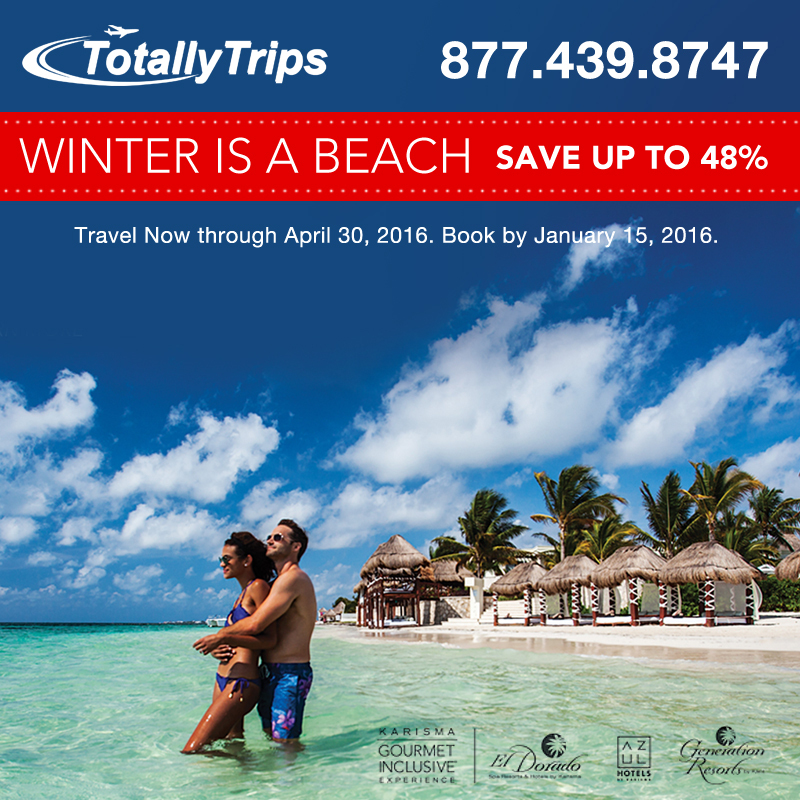 Winter is a Beach at Karisma Resorts – Save up to 48% Off Your Adults Only or Family Friendly Vacation Package! 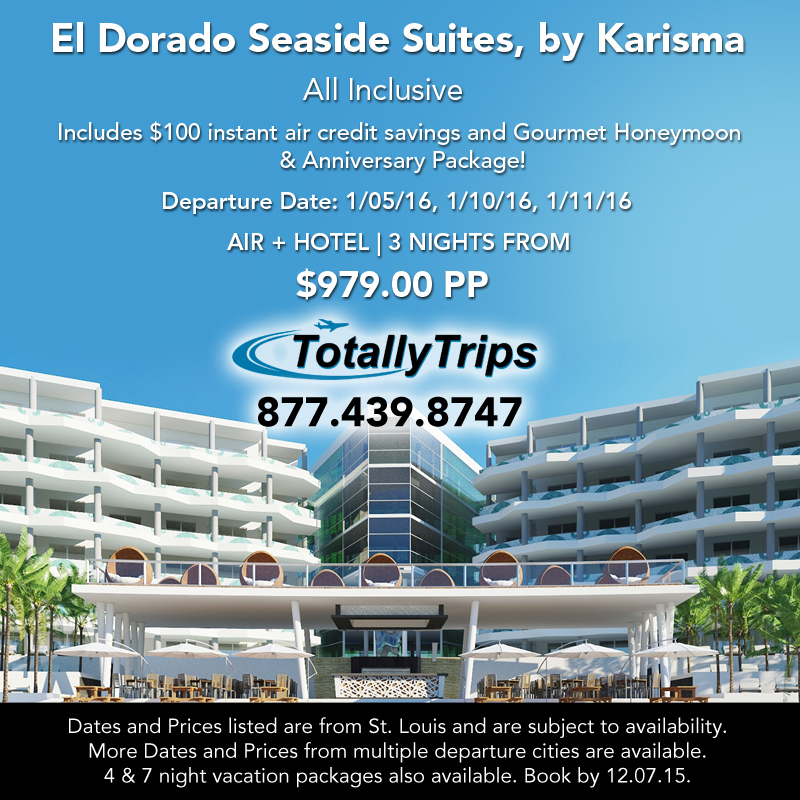 The Newly Renovated El Dorado Seaside Suites – On Sale this Week Out of St. Louis! 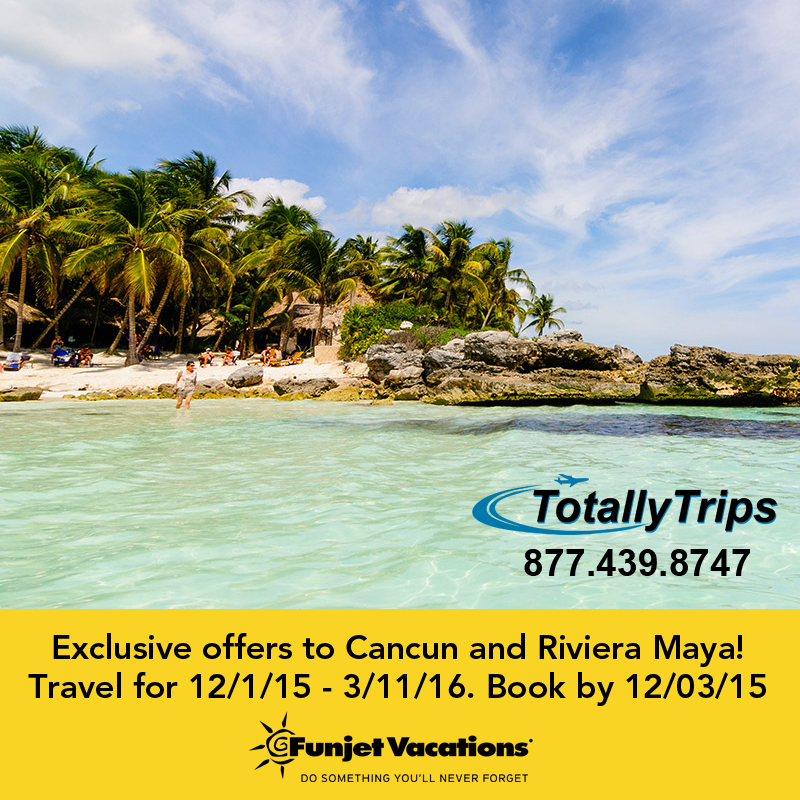 Exclusive Vacation Offers to Cancun and Riviera Maya! Gran Caribe Real Resort and Spa – Save up to 40% and Includes Resort Exchange Privileges! Register to Win – One of Two (3) Night Stays with airfare to El Dorado Royale!